During the early 1980s, the UNIX System was considered a hostile environment for running multiuser database systems. (See Stonebraker  and Weinberger .) Earlier systems, such as Version 7, did indeed present large obstacles, since they did not provide any form of IPC (other than half-duplex pipes) and did not provide any form of byte-range locking. Many of these deficiencies were remedied, however. By the late 1980s, the UNIX System had evolved to provide a suitable environment for running reliable, multiuser database systems. Since then, numerous commercial firms have offered these types of database systems. In this chapter, we develop a simple, multiuser database library of C functions that any program can call to fetch and store records in a database. This library of C functions is usually only one part of a complete database system. We do not develop the other pieces, such as a query language, leaving these items to the many textbooks on database systems. Our interest is the UNIX System interface a database library requires and how that interface relates to the topics we've already covered (such as recordbyte-rangelocking, in Section 14.3). One popular library of database functions in the UNIX System is the dbm(3) library. This library was developed by Ken Thompson and uses a dynamic hashing scheme. It was originally provided with Version 7, appears in all BSD releases, and was also provided in SVR4's BSD-compatibility library [AT&T 1990c]. The BSD developers extended the dbm library and called it ndbm. The ndbm library was included in BSD as well as in SVR4. The ndbm functions are standardized in the XSI extensions of the Single UNIX Specification. Seltzer and Yigit  provide a detailed history of the dynamic hashing algorithm used by the dbm library and other implementations of this library, including gdbm, the GNU version of the dbm library. Unfortunately, a basic limitation of all these implementations is that none allows concurrent updating of the database by multiple processes. These implementations provide no type of concurrency controls (such as record locking). 4.4BSD provided a new db(3) library that supports three forms of access: (a) record oriented, (b) hashing, and (c) a B-tree. Again, no form of concurrency was provided (as was plainly stated in the BUGS section of the db(3) manual page). Sleepycat Software (http://www.sleepycat.com) provides versions of the db library that do support concurrent access, locking, and transactions. Most commercial database libraries do provide the concurrency controls required for multiple processes to update a database simultaneously. These systems typically use advisory locking, as we described in Section 14.3, but they often implement their own locking primitives to avoid the overhead of a system call to acquire an uncontested lock. These commercial systems usually implement their database using B+ trees [Comer 1979] or some dynamic hashing technique, such as linear hashing [Litwin 1980] or extendible hashing [Fagin et al. 1979]. Figure 20.1 summarizes the database libraries commonly found in the four operating systems described in this book. Note that on Linux, the gdbm library provides support for both dbm and ndbm functions. The library we develop in this chapter will be similar to the ndbm library, but we'll add the concurrency control mechanisms to allow multiple processes to update the same database at the same time. We first describe the C interface to the database library, then in the next section describe the actual implementation. When we open a database, we are returned a handle (an opaque pointer) representing the database. We'll pass this handle to the remaining database functions. If db_open is successful, two files are created: pathname.idx is the index file, and pathname.dat is the data file. The oflag argument is used as the second argument to open (Section 3.3) to specify how the files are to be opened (read-only, readwrite, create file if it doesn't exist, etc.). The mode argument is used as the third argument to open (the file access permissions) if the database files are created. When we're done with a database, we call db_close. It closes the index file and the data file and releases any memory that it allocated for internal buffers. The key and data arguments are null-terminated character strings. The only restriction on these two strings is that neither can contain null bytes. They may contain, for example, newlines. The flag argument can be DB_INSERT (to insert a new record), DB_REPLACE (to replace an existing record), or DB_STORE (to either insert or replace, whichever is appropriate). These three constants are defined in the apue_db.h header. If we specify either DB_INSERT or DB_STORE and the record does not exist, a new record is inserted. If we specify either DB_REPLACE or DB_STORE and the record already exists, the existing record is replaced with the new record. If we specify DB_REPLACE and the record doesn't exist, we set errno to ENOENT and return 1 without adding the new record. If we specify DB_INSERT and the record already exists, no record is inserted. In this case, the return value is 1 to distinguish this from a normal error return (1). We can fetch any record from the database by specifying its key. The return value is a pointer to the data that was stored with the key, if the record is found. We can also delete a record from the database by specifying its key. In addition to fetching a record by specifying its key, we can go through the entire database, reading each record in turn. To do this, we first call db_rewind to rewind the database to the first record and then call db_nextrec in a loop to read each sequential record. If key is a non-null pointer, db_nextrec returns the key by copying it to the memory starting at that location. There is no order to the records returned by db_nextrec. All we're guaranteed is that we'll read each record in the database once. If we store three records with keys of A, B, and C, in that order, we have no idea in which order db_nextrec will return the three records. It might return B, then A, then C, or some other (apparently random) order. The actual order depends on the implementation of the database. These seven functions provide the interface to the database library. We now describe the actual implementation that we have chosen. Database access libraries often use two files to store the information: an index file and a data file. The index file contains the actual index value (the key) and a pointer to the corresponding data record in the data file. Numerous techniques can be used to organize the index file so that it can be searched quickly and efficiently for any key: hashing and B+ trees are popular. We have chosen to use a fixed-size hash table with chaining for the index file. We mentioned in the description of db_open that we create two files: one with a suffix of .idx and one with a suffix of .dat. We store the key and the index as null-terminated character strings; they cannot contain arbitrary binary data. Some database systems store numerical data in a binary format (1, 2, or 4 bytes for an integer, for example) to save storage space. This complicates the functions and requires more work to make the database files portable between different systems. For example, if a network has two systems that use different formats for storing binary integers, we need to handle this if we want both systems to access the database. (It is not at all uncommon today to have systems with different architectures sharing files on a network.) Storing all the records, both keys and data, as character strings simplifies everything. It does require additional disk space, but that is a small cost for portability. Figure 20.2 shows a general picture of the database implementation. The index file consists of three portions: the free-list pointer, the hash table, and the index records. In Figure 20.2, all the fields called ptr are simply file offsets stored as an ASCII number. To find a record in the database, given its key, db_fetch calculates the hash value of the key, which leads to one hash chain in the hash table. (The chain ptr field could be 0, indicating an empty chain.) We then follow this hash chain, which is a linked list of all the index records with this hash value. When we encounter a chain ptr value of 0, we've hit the end of the hash chain. To keep this example small, we have set the size of each ptr field to four ASCII characters; the number of hash chains is three. Since each ptr is a file offset, a four-character field limits the total size of the index file and data file to 10,000 bytes. When we do some performance measurements of the database system in Section 20.9, we set the size of each ptr field to six characters (allowing file sizes up to 1 million bytes), and the number of hash chains to more than 100. If we follow the three hash chains in this example, we see that the first record on the first hash chain is at offset 53 (gamma). The next record on this chain is at offset 17 (alpha), and this is the last record on the chain. The first record on the second hash chain is at offset 35 (beta), and it's the last record on the chain. The third hash chain is empty. Note that the order of the keys in the index file and the order of their corresponding records in the data file is the same as the order of the calls to db_store in Figure 20.3. Since the O_TRUNC flag was specified for db_open, the index file and the data file were both truncated and the database initialized from scratch. In this case, db_store just appends the new index records and data records to the end of the corresponding file. We'll see later that db_store can also reuse portions of these two files that correspond to deleted records. Centralized. Have a single process that is the database manager, and have it be the only process that accesses the database. The functions contact this central process using some form of IPC. Decentralized. Have each function apply the required concurrency controls (locking) and then issue its own I/O function calls. Database systems have been built using each of these techniques. Given adequate locking routines, the decentralized implementation is usually faster, because IPC is avoided. Figure 20.4 depicts the operation of the centralized approach. We purposely show the IPC going through the kernel, as most forms of message passing under the UNIX System operate this way. (Shared memory, as described in Section 15.9, avoids this copying of the data.) We see with the centralized approach that a record is read by the central process and then passed to the requesting process using IPC. This is a disadvantage of this design. Note that the centralized database manager is the only process that does I/O with the database files. The centralized approach has the advantage that customer tuning of its operation may be possible. For example, we might be able to assign different priorities to different processes through the centralized process. This could affect the scheduling of I/O operations by the centralized process. With the decentralized approach, this is more difficult to do. We are usually at the mercy of the kernel's disk I/O scheduling policy and locking policy; that is, if three processes are waiting for a lock to become available, which process gets the lock next? Another advantage of the centralized approach is that recovery is easier than with the decentralized approach. All the state information is in one place in the centralized approach, so if the database processes are killed, we have only one place to look to identify the outstanding transactions we need to resolve to restore the database to a consistent state. The decentralized approach is shown in Figure 20.5. This is the design that we'll implement in this chapter. The user processes that call the functions in the database library to perform I/O are considered cooperating processes, since they use byte-range locking to provide concurrent access. We purposely chose a two-file implementation (an index file and a data file) because that is a common implementation technique. It requires us to handle the locking interactions of both files. But there are numerous ways to handle the locking of these two files. The problem with coarse-grained locking is that it doesn't allow the maximum amount of concurrency. If a process is adding a record to one hash chain, another process should be able to read a record on a different hash chain. We enhance coarse-grained locking to allow more concurrency and call this fine-grained locking. We first require a reader or a writer to obtain a read lock or a write lock on the hash chain for a given record. We allow any number of readers at one time on any hash chain but only a single writer on a hash chain. Next, a writer needing to access the free list (either db_delete or db_store) must obtain a write lock on the free list. Finally, whenever it appends a new record to the end of either the index file or the data file, db_store has to obtain a write lock on that portion of the file. In the source code, we call read, readv, write, and writev directly. We do not use the standard I/O library. Although it is possible to use byte-range locking with the standard I/O library, careful handling of buffering is required. We don't want an fgets, for example, to return data that was read into a standard I/O buffer 10 minutes ago if the data was modified by another process 5 minutes ago. Our discussion of concurrency is predicated on the simple needs of the database library. Commercial systems often have additional requirements. See Chapter 16 of Date  for additional details on concurrency. Applications that want to link with libapue_db.a will also need to link with libapue.a, since we use some of our common functions in the database library. The resulting shared library, libapue_db.so.1, needs to be placed in a common directory where the dynamic linker/loader can find it. Alternatively, we can place it in a private directory and modify our LD_LIBRARY_PATH environment variable to include the private directory in the search path of the dynamic linker/loader. The steps used to build shared libraries vary among platforms. 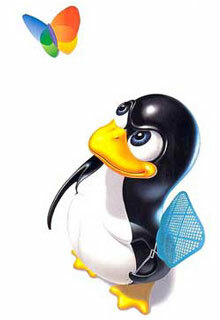 Here, we have shown how to do it on a Linux system with the GNU C compiler. We start with the apue_db.h header shown first. This header is included by the library source code and all applications that call the library. For the remainder of this text, we depart from the style of the previous examples in several ways. First, because the source code example is longer than usual, we number the lines. This makes it easier to link the discussion with the corresponding source code. Second, we place the description of the source code immediately below the source code on the same page. This style was inspired by John Lions in his book documenting the UNIX Version 6 operating system source code [Lions 1977, 1996]. It simplifies the task of studying large amounts of source code. Note that we do not bother to number blank lines. Although this departs from the normal behavior of such tools as pr(1), we have nothing interesting to say about blank lines. 12  * Flags for db_store(). We use the _APUE_DB_H symbol to ensure that the contents of the header file are included only once. The DBHANDLE type represents an active reference to the database and is used to isolate applications from the implementation details of the database. Compare this technique with the way the standard I/O library exposes the FILE structure to applications. Next, we declare the prototypes for the database library's public functions. Since this header is included by applications that want to use the library, we don't declare the prototypes for the library's private functions here. The legal flags that can be passed to the db_store function are defined next, followed by fundamental limits of the implementation. These limits can be changed, if desired, to support bigger databases. The minimum index record length is specified by IDXLEN_MIN. This represents a 1-byte key, a 1-byte separator, a 1-byte starting offset, another 1-byte separator, a 1-byte length, and a terminating newline character. (Recall the format of an index record from Figure 20.2.) An index record will usually be larger than IDXLEN_MIN bytes, but this is the bare minimum size. The next file is db.c, the C source file for the library. For simplicity, we include all functions in a single file. This has the advantage that we can hide private functions by declaring them static. 8     * Internal index file constants. 10    * index file and data file. 18    * list chain in the index file. We include apue.h because we use some of the functions from our private library. In turn, apue.h includes several standard header files, including <stdio.h> and <unistd.h>. We include <stdarg.h> because the db_open function uses the variable-argument functions declared by <stdarg.h>. The size of an index record is specified by IDXLEN_SZ. We use some characters, such as colon and newline, as delimiters in the database. We use the space character as "white out" when we delete a record. Some of the values that we have defined as constants could also be made variable, with some added complexity in the implementation. For example, we set the size of the hash table to 137 entries. A better technique would be to let the caller specify this as an argument to db_open, based on the expected size of the database. We would then have to store this size at the beginning of the index file. 28    * Library's private representation of the database. The DB structure is where we keep all the information for each open database. The DBHANDLE value that is returned by db_open and used by all the other functions is really just a pointer to one of these structures, but we hide that from the callers. Since we store pointers and lengths as ASCII in the database, we convert these to numeric values and save them in the DB structure. We also save the hash table size even though it is fixed, just in case we decide to enhance the library to allow callers to specify the size when the database is created (see Exercise 20.7). The last ten fields in the DB structure count both successful and unsuccessful operations. If we want to analyze the performance of our database, we can write a function to return these statistics, but for now, we only maintain the counters. 76    * Open or create a database. Same arguments as open(2). 89       * Allocate a DB structure, and the buffers it needs. We have chosen to name all the user-callable (public) functions starting with db_ and all the internal (private) functions starting with _db_. The public functions were declared in the library's header file, apue_db.h. We declare the internal functions as static so they are visible only to functions residing in the same file (the file containing the library implementation). The db_open function has the same arguments as open(2). If the caller wants to create the database files, the optional third argument specifies the file permissions. The db_open function opens the index file and the data file, initializing the index file, if necessary. The function starts by calling _db_alloc to allocate and initialize a DB structure. 104          * Open index file and data file. 111          * Open index file and data file. We continue to initialize the DB structure. The pathname passed in by the caller specifies the prefix of the database filenames. We append the suffix .idx to create the name for the database index file. If the caller wants to create the database files, we use the variable argument functions from <stdarg.h> to find the optional third argument. Then we use open to create and open the index file and data file. Note that the filename of the data file starts with the same prefix as the index file but has .dat as a suffix instead. If the caller doesn't specify the O_CREAT flag, then we're opening existing database files. In this case, we simply call open with two arguments. If we hit an error opening or creating either database file, we call _db_free to clean up the DB structure and then return NULL to the caller. If one open succeeded and one failed, _db_free will take care of closing the open file descriptor, as we shall see shortly. 125       * it, check its size, and initialize it, atomically. 135           * list pointer that precedes the hash table. We encounter locking if the database is being created. Consider two processes trying to create the same database at about the same time. Assume that the first process calls fstat and is blocked by the kernel after fstat returns. The second process calls db_open, finds that the length of the index file is 0, and initializes the free list and hash chain. The second process then writes one record to the database. At this point, the second process is blocked, and the first process continues executing right after the call to fstat. The first process finds the size of the index file to be 0 (since fstat was called before the second process initialized the index file), so the first process initializes the free list and hash chain, wiping out the record that the second process stored in the database. The way to prevent this is to use locking. We use the macros readw_lock, writew_lock, and un_lock from Section 14.3. If the size of the index file is 0, we have just created it, so we need to initialize the free list and hash chain pointers it contains. Note that we use the format string %*d to convert a database pointer from an integer to an ASCII string. (We'll use this type of format again in _db_writeidx and _db_writeptr.) This format tells sprintf to take the PTR_SZ argument and use it as the minimum field width for the next argument, which is 0 in this instance (here we are initializing the pointers to 0, since we are creating a new database). This has the effect of forcing the string created to be at least PTR_SZ characters (padded on the left with spaces). In _db_writeidx and _db_writeptr, we will pass a pointer value instead of zero, but we will first verify that the pointer value isn't greater than PTR_MAX, to guarantee that every pointer string we write to the database occupies exactly PTR_SZ (6) characters. 153   * Allocate & initialize a DB structure and its buffers. 160     * Use calloc, to initialize the structure to zero. 166     * Allocate room for the name. 167     * +5 for ".idx" or ".dat" plus null at end. We continue to initialize the newly created database. We build the hash table and write it to the index file. Then we unlock the index file, reset the database file pointers, and return a pointer to the DB structure as the opaque handle for the caller to use with the other database functions. The _db_alloc function is called by db_open to allocate storage for the DB structure, an index buffer, and a data buffer. We use calloc to allocate memory to hold the DB structure and ensure that it is initialized to all zeros. Since this has the side effect of setting the database file descriptors to zero, we need to reset them to 1 to indicate that they are not yet valid. We allocate space to hold the name of the database file. We use this buffer to create both filenames by changing the suffix to refer to either the index file or the data file, as we saw in db_open. 172     * Allocate an index buffer and a data buffer. 173     * +2 for newline and null at end. 182   * Relinquish access to the database. 191   * may point to. Also close the file descriptors if still open. We allocate space for buffers for the index and data files. The buffer sizes are defined in apue_db.h. An enhancement to the database library would be to allow these buffers to expand as required. We could keep track of the size of these two buffers and call realloc whenever we find we need a bigger buffer. Finally, we return a pointer to the DB structure that we allocated. The db_close function is a wrapper that casts a database handle to a DB structure pointer, passing it to _db_free to release any resources and free the DB structure. 209   * Fetch a record. Return a pointer to the null-terminated data. 224     * Unlock the hash chain that _db_find_and_lock locked. Next, we free any dynamically-allocated buffers. We can safely pass a null pointer to free, so we don't need to check the value of each buffer pointer beforehand, but we do so anyway because we consider it better style to free only those objects that we allocated. (Not all deallocator functions are as forgiving as free.) Finally, we free the memory backing the DB structure. The db_fetch function is used to read a record given its key. We first try to find the record by calling _db_find_and_lock. If the record can't be found, we set the return value (ptr) to NULL and increment the count of unsuccessful record searches. Because _db_find_and_lock returns with the database index file locked, we can't return until we unlock it. If the record is found, we call _db_readdat to read the corresponding data record and increment the count of the successful record searches. Before returning, we unlock the index file by calling un_lock. Then we return a pointer to the record found (or NULL if the record wasn't found). 232   * and db_store. Returns with the hash chain locked. 240     * byte offset of corresponding chain ptr in hash table. 242     * offset in the hash table for this key. 248     * when done. Note we lock and unlock only the first byte. 259     * on the hash chain (can be 0). The _db_find_and_lock function is used internally by the library to find a record given its key. We set the writelock parameter to a nonzero value if we want to acquire a write lock on the index file while we search for the record. If we set writelock to zero, we read-lock the index file while we search it. We prepare to traverse a hash chain in _db_find_and_lock. We convert the key into a hash value, which we use to calculate the starting address of the hash chain in the file (chainoff). We wait for the lock to be granted before going through the hash chain. Note that we lock only the first byte in the start of the hash chain. This increases concurrency by allowing multiple processes to search different hash chains at the same time. We call _db_readptr to read the first pointer in the hash chain. If this returns zero, the hash chain is empty. 270     * offset == 0 on error (record not found). 275   * Calculate the hash value for a key. In the while loop, we go through each index record on the hash chain, comparing keys. We call _db_readidx to read each index record. It populates the idxbuf field with the key of the current record. If _db_readidx returns zero, we've reached the last entry in the chain. If offset is zero after the loop, we've reached the end of a hash chain without finding a matching key, so we return 1. Otherwise, we found a match (and exited the loop with the break statement), so we return success (0). In this case, the ptroff field contains the address of the previous index record, datoff contains the address of the data record, and datlen contains the size of the data record. As we make our way through the hash chain, we save the previous index record that points to the current index record. We'll use this when we delete a record, since we have to modify the chain pointer of the previous record to delete the current record. _db_hash calculates the hash value for a given key. It multiplies each ASCII character times its 1-based index and divides the result by the number of hash table entries. The remainder from the division is the hash value for this key. Recall that the number of hash table entries is 137, which is a prime number. According to Knuth , prime hashes generally provide good distribution characteristics. 290   * index record chain ptr. 308   * corresponding data record in the data file. _db_readptr reads any one of three different chain pointers: (a) the pointer at the beginning of the index file that points to the first index record on the free list, (b) the pointers in the hash table that point to the first index record on each hash chain, and (c) the pointers that are stored at the beginning of each index record (whether the index record is part of a hash chain or on the free list). We convert the pointer from ASCII to a long integer before returning it. No locking is done by this function; that is up to the caller. The _db_readidx function is used to read the record at the specified offset from the index file. On success, the function will return the offset of the next record in the list. In this case, the function will populate several fields in the DB structure: idxoff contains the offset of the current record in the index file, ptrval contains the offset of the next index entry in the list, idxlen contains the length of the current index record, idxbuf contains the actual index record, datoff contains the offset of the record in the data file, and datlen contains the length of the data record. 319     * calls us with offset==0, meaning read from current offset. 320     * We still need to call lseek to record the current offset. 328     * remaining size of the index record. 340     * This is our return value; always >= 0. We start by seeking to the index file offset provided by the caller. We record the offset in the DB structure, so even if the caller wants to read the record at the current file offset (by setting offset to 0), we still need to call lseek to determine the current offset. Since an index record will never be stored at offset 0 in the index file, we can safely overload the value of 0 to mean "read from the current offset." We call readv to read the two fixed-length fields at the beginning of the index record: the chain pointer to the next index record and the size of the variable-length index record that follows. We convert the offset of the next record to an integer and store it in the ptrval field (this will be used as the return value for this function). Then we convert the length of the index record into an integer and save it in the idxlen field. 350     * buffer that we malloced when we opened the database. 358     * Find the separators in the index record. 369     * Get the starting offset and length of the data record. We read the variable-length index record into the idxbuf field in the DB structure. The record should be terminated with a newline, which we replace with a null byte. If the index file is corrupt, we terminate and drop core by calling err_dump. We separate the index record into three fields: the key, the offset of the corresponding data record, and the length of the data record. The strchr function finds the first occurrence of the specified character in the given string. Here we look for the character that separates fields in the record (SEP, which we define to be a colon). We convert the data record offset and length into integers and store them in the DB structure. Then we return the offset of the next record in the hash chain. Note that we do not read the data record. That is left to the caller. In db_fetch, for example, we don't read the data record until _db_find_and_lock has read the index record that matches the key that we're looking for. 378   * Read the current data record into the data buffer. 379   * Return a pointer to the null-terminated data buffer. 394   * Delete the specified record. The _db_readdat function populates the datbuf field in the DB structure with the contents of the data record, expecting that the datoff and datlen fields have been properly initialized already. The db_delete function is used to delete a record given its key. We use _db_find_and_lock to determine whether the record exists in the database. If it does, we call _db_dodelete to do the work needed to delete the record. The third argument to _db_find_and_lock controls whether the chain is read-locked or write-locked. Here we are requesting a write lock, since we will potentially change the list. Since _db_find_and_lock returns with the lock still held, we need to unlock it, regardless of whether the record was found. 413   * Delete the current record specified by the DB structure. 415   * the record has been located by _db_find_and_lock. 424     * Set data buffer and key to all blanks. 433     * We have to lock the free list. 438     * Write the data record with all blanks. The _db_dodelete function does all the work necessary to delete a record from the database. (This function is also called by db_store.) Most of the function just updates two linked lists: the free list and the hash chain for this key. When a record is deleted, we set its key and data record to blanks. This fact is used by db_nextrec, which we'll examine later in this section. We call writew_lock to write-lock the free list. This is to prevent two processes that are deleting records at the same time, on two different hash chains, from interfering with each other. Since we'll add the deleted record to the free list, which changes the free-list pointer, only one process at a time can be doing this. We write the all-blank data record by calling _db_writedat. Note that there is no need for _db_writedat to lock the data file in this case. Since db_delete has write-locked the hash chain for this record, we know that no other process is reading or writing this particular data record. 444     * the deleted record becomes the head of the free list. 449     * before it's rewritten by _db_writeidx. 455     * none of which has changed, but that's OK.
459     * Write the new free list pointer. 466     * contents of the deleted record's chain ptr, saveptr. We read the free-list pointer and then update the index record so that its next record pointer is set to the first record on the free list. (If the free list was empty, this new chain pointer is 0.) We have already cleared the key. Then we update the free-list pointer with the offset of the index record we are deleting. This means that the free list is handled on a last-in, first-out basis; that is, deleted records are added to the front of the free list (although we remove entries from the free list on a first-fit basis). We don't have a separate free list for each file. When we add a deleted index record to the free list, the index record still points to the deleted data record. There are better ways to do this, in exchange for added complexity. We update the previous record in the hash chain to point to the record after the one we are deleting, thus removing the deleted record from the hash chain. Finally, we unlock the free list. 474   * the record with blanks) and db_store. 484     * overwriting an existing record, we don't have to lock. We call _db_writedat to write a data record. When we delete a record, we use _db_writedat to overwrite the record with blanks; _db_writedat doesn't need to lock the data file, because db_delete has write-locked the hash chain for this record. Thus, no other process could be reading or writing this particular data record. When we cover db_store later in this section, we'll encounter the case in which _db_writedat is appending to the data file and has to lock it. We seek to the location where we want to write the data record. The amount to write is the record size plus 1 byte for the terminating newline we add. We set up the iovec array and call writev to write the data record and newline. We can't assume that the caller's buffer has room at the end for us to append the newline, so we write the newline from a separate buffer. If we are appending a record to the file, we release the lock we acquired earlier. 505   * DB structure, which we need to write the index record. 528     * overwriting an existing record, we don't have to lock. The _db_writeidx function is called to write an index record. After validating the next pointer in the chain, we create the index record and store the second half of it in idxbuf. We need the size of this portion of the index record to create the first half of the index record, which we store in the local variable asciiptrlen. Note that we select the format string passed to sprintf based on the size of the off_t data type. Even a 32-bit system can provide 64-bit file offsets, so we can't make any assumptions about the size of the off_t data type. As with _db_writedat, this function deals with locking only when a new index record is being appended to the index file. When _db_dodelete calls this function, we're rewriting an existing index record. In this case, the caller has write-locked the hash chain, so no additional locking is required. 535     * Position the index file and record the offset. 552   * the free list, the hash table, or in an index record. We seek to the location where we want to write the index record and save this offset in the idxoff field of the DB structure. Since we built the index record in two separate buffers, we use writev to store it in the index file. If we were appending to the file, we release the lock we acquired before seeking. This makes the seek and the write an atomic operation from the perspective of concurrently running processes appending new records to the same database. _db_writeptr is used to write a chain pointer to the index file. We validate that the chain pointer is within bounds, then convert it to an ASCII string. We seek to the specified offset in the index file and write the pointer. 568   * exists and DB_INSERT specified, -1 on error. 589     * hash table entry for this chain to point to the new record. 590     * The new record is added to the front of the hash chain. We use db_store to add a record to the database. We first validate the flag value we are passed. Then we make sure that the length of the data record is valid. If it isn't, we drop core and exit. This is OK for an example, but if we were building a production-quality library, we'd return an error status instead, which would give the application a chance to recover. We call _db_find_and_lock to see if the record already exists. It is OK if the record doesn't exist and either DB_INSERT or DB_STORE is specified, or if the record already exists and either DB_REPLACE or DB_STORE is specified. If we're replacing an existing record, that implies that the keys are identical but that the data records probably differ. Note that the final argument to _db_find_and_lock specifies that the hash chain must be write-locked, as we will probably be modifying this hash chain. 601         * the chain ptr to the first index record on hash chain. 607             * new record to the ends of the index and data files. 613             * record goes to the front of the hash chain. 620             * the free list and set both db->datoff and db->idxoff. 621             * Reused record goes to the front of the hash chain. After we call _db_find_and_lock, the code divides into four cases. In the first two, no record was found, so we are adding a new record. We read the offset of the first entry on the hash list. Case 1: we call _db_findfree to search the free list for a deleted record with the same size key and same size data. If no such record is found, we have to append the new record to the ends of the index and data files. We call _db_writedat to write the data part, _db_writeidx to write the index part, and _db_writeptr to place the new record on the front of the hash chain. We increment a count (cnt_stor1) of the number of times we executed this case to allow us to characterize the behavior of the database. Case 2: _db_findfree found an empty record with the correct sizes and removed it from the free list (we'll see the implementation of _db_findfree shortly). We write the data and index portions of the new record and add the record to the front of the hash chain as we did in case 1. The cnt_stor2 field counts how many times we've executed this case. 637         * the data records are the same size. 643             * (it may change with the deletion). 647             * Append new index and data records to end of files. 652             * New record goes to the front of the hash chain. Now we reach the two cases in which a record with the same key already exists in the database. If the caller isn't replacing the record, we set the return code to indicate that a record exists, increment the count of the number of store errors, and jump to the end of the function, where we handle the common return logic. Case 3: an existing record is being replaced, and the length of the new data record differs from the length of the existing one. We call _db_dodelete to delete the existing record. Recall that this places the deleted record at the head of the free list. Then we append the new record to the ends of the data and index files by calling _db_writedat and _db_writeidx. (There are other ways to handle this case. We could try to find a deleted record that has the correct data size.) The new record is added to the front of the hash chain by calling _db_writeptr. The cnt_stor3 counter in the DB structure records the number of times we've executed this case. 658             * Same size data, just replace data record. 672   * of the correct sizes. We're only called by db_store. 680     * Lock the free list. 685     * Read the free list pointer. Case 4: An existing record is being replaced, and the length of the new data record equals the length of the existing data record. This is the easiest case; we simply rewrite the data record and increment the counter (cnt_stor4) for this case. In the normal case, we set the return code to indicate success and fall through to the common return logic. We unlock the hash chain that was locked as a result of calling _db_find_and_lock and return to the caller. The _db_findfree function tries to find a free index record and associated data record of the specified sizes. We need to write-lock the free list to avoid interfering with any other processes using the free list. After locking the free list, we get the pointer address at the head of the list. 700         * Found a free record with matching sizes. 705         * which removes the empty record from the free list. 712         * to write the new index record and data record. 716     * Unlock the free list. The while loop in _db_findfree goes through the free list, looking for a record with matching key and data sizes. In this simple implementation, we reuse a deleted record only if the key length and data length equal the lengths for the new record being inserted. There are a variety of better ways to reuse this deleted space, in exchange for added complexity. If we can't find an available record of the requested key and data sizes, we set the return code to indicate failure. Otherwise, we write the previous record's chain pointer to point to the next chain pointer value of the record we have found. This removes the record from the free list. Once we are done with the free list, we release the write lock. Then we return the status to the caller. 723   * Rewind the index file for db_nextrec. 724   * Automatically called by db_open. 725   * Must be called before first db_nextrec. 735     * to the start of the index records; no need to lock. 736     * +1 below for newline at end of hash table. 742   * Return the next sequential record. 745   * called the first time. The db_nextrec function returns the next record in the database. The return value is a pointer to the data buffer. If the caller provides a non-null value for the key parameter, the corresponding key is copied to this address. The caller is responsible for allocating a buffer big enough to store the key. A buffer whose size is IDXLEN_MAX bytes is large enough to hold any key. Records are returned sequentially, in the order that they happen to be stored in the database file. Thus, the records are not sorted by key value. Also, because we do not follow the hash chains, we can come across records that have been deleted, but we will not return these to the caller. 755     * a record in the middle of its being deleted. 761         * Read next sequential index record. 768         * Check if key is all blank (empty record). We first need to read-lock the free list so that no other processes can remove a record while we are reading it. We call _db_readidx to read the next record. We pass in an offset of 0 to tell _db_readidx to continue reading from the current offset. Since we are reading the index file sequentially, we can come across records that have been deleted. We want to return only valid records, so we skip any record whose key is all spaces (recall that _db_dodelete clears a key by setting it to all spaces). When we find a valid key, we copy it to the caller's buffer if one was supplied. Then we read the data record and set the return value to point to the internal buffer containing the data record. We increment a statistics counter, unlock the free list, and return the pointer to the data record. As we warned earlier, there is no order to the returned records; they are not in key order. If the database is being modified while db_nextrec is called from a loop, the records returned by db_nextrec are simply a snapshot of a changing database at some point in time. db_nextrec always returns a "correct" record when it is called; that is, it won't return a record that was deleted. But it is possible for a record returned by db_nextrec to be deleted immediately after db_nextrec returns. Similarly, if a deleted record is reused right after db_nextrec skips over the deleted record, we won't see that new record unless we rewind the database and go through it again. If it's important to obtain an accurate "frozen" snapshot of the database using db_nextrec, there must be no insertions or deletions going on at the same time. Look at the locking used by db_nextrec. We're not going through any hash chain, and we can't determine the hash chain that a record belongs on. Therefore, it is possible for an index record to be in the process of being deleted when db_nextrec is reading the record. To prevent this, db_nextrec read-locks the free list, thereby avoiding any interaction with _db_dodelete and _db_findfree. To test the database library and to obtain some timing measurements of the database access patterns of typical applications, a test program was written. This program takes two command-line arguments: the number of children to create and the number of database records (nrec) for each child to write to the database. The program then creates an empty database (by calling db_open), forks the number of child processes, and waits for all the children to terminate. Each child performs the following steps. Write nrec records to the database. Read the nrec records back by key value. Perform the following loop nrec x 5 times. Every 37 times through the loop, delete a random record. Every 11 times through the loop, insert a new record and read the record back. Every 17 times through the loop, replace a random record with a new record. Every other one of these replacements is a record with the same size data, and the alternate is a record with a longer data portion. Delete all the records that this child wrote. Every time a record is deleted, ten random records are looked up. The number of operations performed on the database is counted by the cnt_xxx variables in the DB structure, which were incremented in the functions. The number of operations differs from one child to the next, since the random-number generator used to select records is initialized in each child to the child's process ID. A typical count of the operations performed in each child, when nrec is 500, is shown in Figure 20.6. We performed about ten times more fetches than stores or deletions, which is probably typical of many database applications. All the timing tests in this section were done on a SPARC system running Solaris 9. Figure 20.7 shows the results when only a single child process ran, with an nrec of 500, 1,000, and 2,000. The last 12 columns give the corresponding times in seconds. In all cases, the user CPU time plus the system CPU time approximately equals the clock time. This set of tests was CPU-limited and not disk-limited. The six columns under "Advisory locking" are almost equal for each row. This makes sense because for a single process, there is no difference between coarse-grained locking and fine-grained locking. Comparing no locking versus advisory locking, we see that adding the locking calls adds between 2 percent and 31 percent to the system CPU time. Even though the locks are never used (since only a single process is running), the system call overhead in the calls to fcntl adds time. Also note that the user CPU time is about the same for all four versions of locking. Since the user code is almost equivalent (except for the number of calls to fcntl), this makes sense. The final point to note from Figure 20.7 is that mandatory locking adds between 43 percent and 54 percent to the system CPU time, compared to advisory locking. Since the number of locking calls is the same for advisory fine-grained locking and mandatory fine-grained locking, the additional system call overhead must be in the reads and writes. The final test was to try the no-locking program with multiple children. The results, as expected, were random errors. Normally, records that were added to the database couldn't be found, and the test program aborted. Different errors occurred every time the test program was run. This illustrates a classic race condition: multiple processes updating the same file without using any form of locking. The next set of measurements looks mainly at the differences between coarse-grained locking and fine-grained locking. As we said earlier, intuitively, we expect fine-grained locking to provide additional concurrency, since there is less time that portions of the database are locked from other processes. Figure 20.8 shows the results for an nrec of 500, varying the number of children from 1 to 12. All times are in seconds and are the total for the parent and all its children. There are many items to consider from this data. The eighth column, labeled "D clock," is the difference in seconds between the clock times from advisory coarse-grained locking to advisory fine-grained locking. This is the measurement of how much concurrency we obtain by going from coarse-grained locking to fine-grained locking. On the system used for these tests, coarse-grained locking is roughly the same until we have more than seven processes. Even after seven processes, the decrease in clock time using fine-grained locking isn't that great (less than 3 percent), which makes us wonder whether the additional code required to implement fine-grained locking is worth the effort. We would like the clock time to decrease from coarse-grained to fine-grained locking, as it eventually does, but we expect the system time to remain higher for fine-grained locking, for any number of processes. The reason we expect this is that with fine-grained locking, we are issuing more fcntl calls than with coarse-grained locking. If we total the number of fcntl calls in Figure 20.6 for coarse-grained locking and fine-grained locking, we have an average of 21,730 for coarse-grained locking and 25,292 for fine-grained locking. (To get these numbers, realize that each operation in Figure 20.6 requires two calls to fcntl for coarse-grained locking and that the first three calls to db_store along with record deletion [record found] each require four calls to fcntl for fine-grained locking.) We expect this increase of 16 percent in the number of calls to fcntl to result in an increased system time for fine-grained locking. Therefore, the slight decrease in system time for fine-grained locking, when the number of processes exceeds seven, is puzzling. The reason for the decrease is that with coarse-grained locking, we hold locks for longer periods of time, thus increasing the likelihood that other processes will block on a lock. With fine-grained locking, the locking is done over shorter intervals, so there is less chance that processes will block. If we analyze the system behavior running 12 database processes, we will see that there is three times as much process switching with coarse-grained locking as with fine-grained locking. This means that processes block on locks less often with fine-grained locking. The final column, labeled "D percent," is the percentage increase in the system CPU time from advisory fine-grained locking to mandatory fine-grained locking. These percentages verify what we saw in Figure 20.7, that mandatory locking adds significantly (between 33 percent and 66 percent) to the system time. Since the user code for all these tests is almost identical (there are some additional fcntl calls for both advisory fine-grained and mandatory fine-grained locking), we expect the user CPU times to be the same across any row. The values in the first row of Figure 20.8 are similar to those for an nrec of 500 in Figure 20.7. This corresponds to our expectation. Figure 20.9 is a graph of the data from Figure 20.8 for advisory fine-grained locking. We plot the clock time as the number of processes goes from 1 to 12. We also plot the user CPU time divided by the number of processes and the system CPU time divided by the number of processes. Note that both CPU times, divided by the number of processes, are linear but that the plot of the clock time is nonlinear. The probable reason is the added amount of CPU time used by the operating system to switch between processes as the number of processes increases. This operating system overhead would show up as an increased clock time, but shouldn't affect the CPU times of the individual processes. The reason the user CPU time increases with the number of processes is that there are more records in the database. Each hash chain is getting longer, so it takes the _db_find_and_lock function longer, on the average, to find a record.